If you're a bride to be or know one, you're going to love TBZ's impeccable collection of bridal jewellery. Tribhovandas Bhimji Zaveri offers two beautiful collections fit for weddings which are their Riwayat Bridal Gold and Riwayat Bridal Diamond collections. 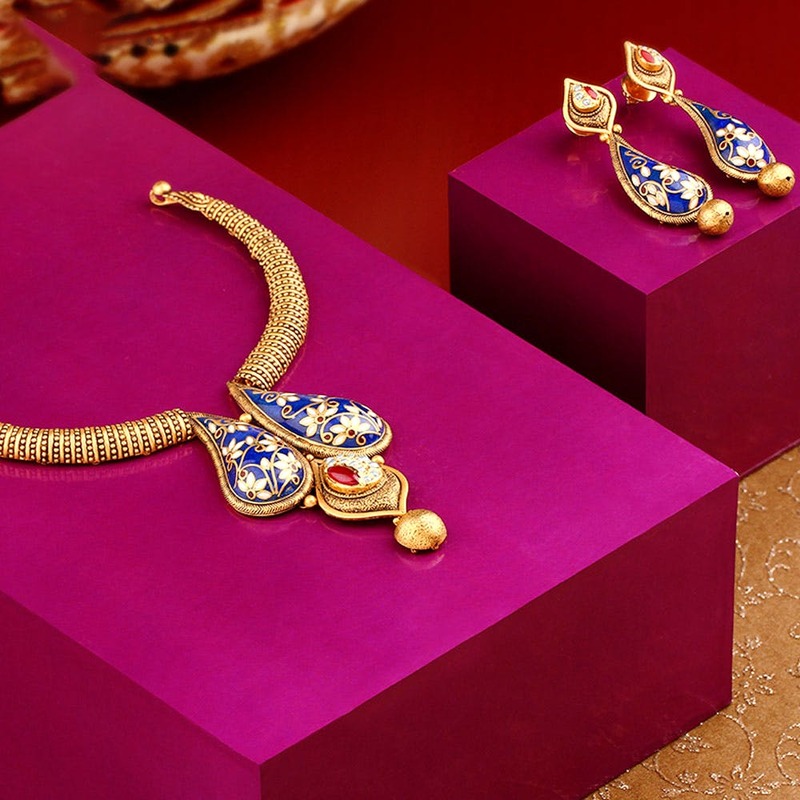 Both consist of statement neck pieces with stunning designs. Apart from wedding jewellery, they have a minimal collection called Pretty Little Things, that is slightly more contemporary and can be worn on regular occasions. Aside from these collections, they also have beautiful diamond rings, platinum bands, and bracelets for people who are looking for understated jewellery. We wish they also mentioned the prices of their products on the TBZ website.